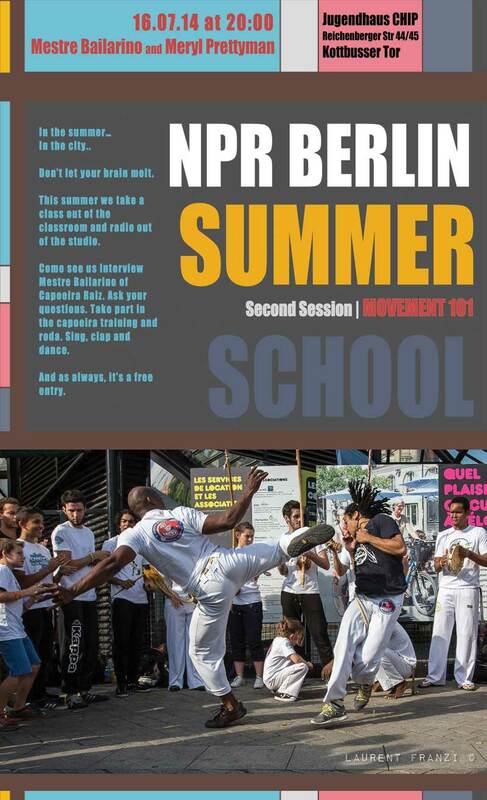 This summer we take a class out of the classroom and radio out of the studio. Come see us interview Mestre Bailarino of Int. Capoeira Raiz. On 16th July 2014, 20:00h @Jugendhaus Chip, Reichenberger Str 44-45, U-Kottbusser Tor.